Julie Stiens grew up in Maryland and spent time in Tennessee, South Carolina and North Carolina before making her way to Texas. Julie moved to Texas about 4 years ago and quickly fell in love with Denton. She is happy to now call Denton, TX home. Julie earned her bachelor's degree from the University of South Carolina Upstate in Business Administration with a focus in Economics and Finance. After college, she moved to Charlotte, NC to pursue her career in finance. She worked with several great teams and really has a passion for helping people reach their goals. She took a short break from finance to explore other passions and travel. Julie spent a year teaching English in China and was a project manager for a market research company. She is excited to now join the Soulier Financial Group! 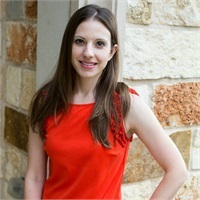 When Julie isn't working, she enjoys spending time with her husband, yoga, traveling, gardening, and exploring Denton.